Or at least co-wrote it. Gave the lyrics to Keith on the way out the door. Whatever, I don’t care. Some of us who know Gram’s style of songwriting (and love it) have always known it. And we also know the Stones’ style, both before and after meeting Gram. Now in the Feb ’13 issue of Uncut we have Mick’s brother saying it was a Gram Parsons’ composition (“not that he ever got anything for it”). 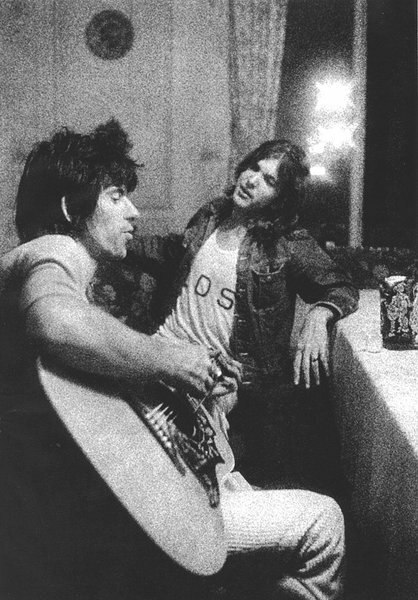 And we have an old quote from Mick himself, “I remember we sat around originally doing this with Gram Parsons…” Etc. Really Mick, you “remember” that much… in ’71? And knowing Gram, I imagine he wasn’t doing anything? Just sitting around, watching? Right. I won’t even get into the obvious about Jagger “allowing” someone to cut one of their best songs first. But I’m not here to argue the point. Please! I know there’s no proof. Move on if you’re not interested in my new (well, I thought it out a few years ago) theory about what (and who) it’s about. No there’s no proof, unless you believe in analysis of art and life as proof. I’ve felt for years that the original lyrics, written by Gram and perhaps modified slightly by the Stones, were written about/for Gram’s sister Little Avis. I’ve read various interpretations of the song, and none seem to ring true. I believe this does. Gram felt tremendous responsibility for Avis after their parents’ deaths, and overwhelming guilt at times for leaving her. And, no doubt, some guilt over what was happening to him, and that he would also soon be leaving her for good. “Faith has been broken, tears must be cried.” His letters to Avis (see Meyer p. 163 et al.) to me mirror the thoughts and feelings in the song. With that in mind, the song here w/out all of the “drag me away” lines. Here’s a little exercise that I had done in the comment section of the No Depression article (comments have also disappeared from the new ND). It’s based on an interview with Mick Jagger in 1971 [my comments are within in brackets]: “I remember [as what, in a fog? this quote is from 1971] we sat around [we?] originally [as in origin] doing this [does “doing this” meaning “writing this”] with Gram Parsons, and I think his version came out slightly before ours. [Everyone knows including Mick that the FBB version was released more that slightly first, but Mick seems vague, “I think…” a manner of covering up the obvious question regarding the only time he allowed such a thing, giving one of their songs to someone he disliked, to put it mildly] Everyone always says this was written about Marianne but I don’t think it was [again, for such a complex song, he doesn’t “think” it was about Marianne (it wasn’t)]; that was all well over by then. But I was definitely very inside this piece emotionally [as we all are when we hear it Mick]. 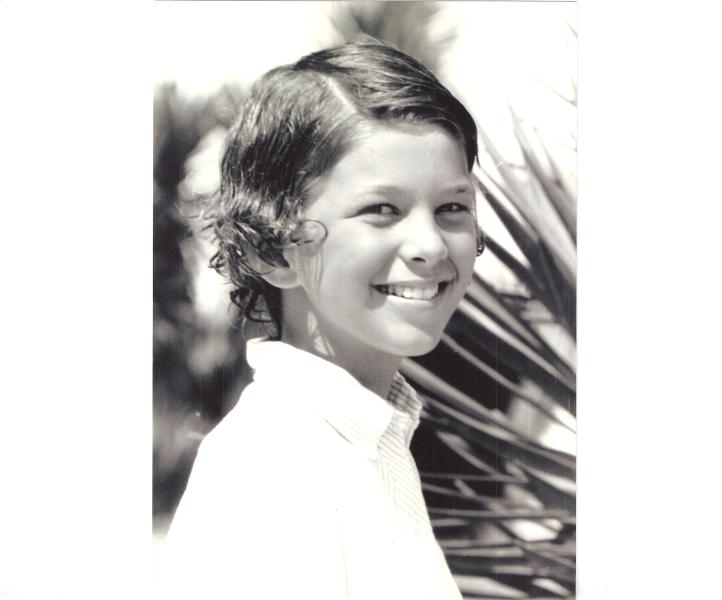 It is very personal, evocative, and sad [boy, I couldn’t agree more, and quite obvious]. It all sounds [“sounds,” all this is said as if listening not knowing as the writer] rather doomy now [not sure Mick would ever say one of his songs sounds anything negative], but that was quite a heavy time.” [Indeed]. And from Gram’s Notebook. A gentleman from Hard Rock Cafe, which owns the notebook, has released a video since this article was composed that claims with more certainty than I that Gram wrote “Wild Horses” based on several handwritten copies of the song in Gram’s notebook (it is odd, you don’t edit a song written by Jagger/Richards); I take no position on his remarks. This entry was posted in GINBlog and tagged Bob Kealing, Gram Parsons, Keith Richards, Little Avis, Rolling Stones, Wild Horses. Hey Joe! Nice to see ya on here. Luv ya my Gramily! Other meanings proposed that I have seen include Keith Richards writing it to his year-old son, Jagger writing it about his codependent relationship with Bianca, and some combination of the two. The notion which first struck me was that it was about a relationship where a married woman rejected an outside suitor — like Guinevere and Lancelot but written by the rejected suitor. Since several people touched it on the way by, I’m not sure they couldn’t all be true. But I’m with you that it feels much more like Gram Parsons’ phrasing than the Stones. “Graceless lady” ( someone without the favor of God) is a profoundly Christian phrase. I do have to say that if you have to say that just one meaning is correct, I think your proposition that it was written to Little Avis by Gram is the best thought-out. I can remember reading an article in the 1970s which claimed the Rolling Stones received regularly unsolicited lyrics for songs . Apparently amongst these were the lyrics for Sympathy For The Devil . 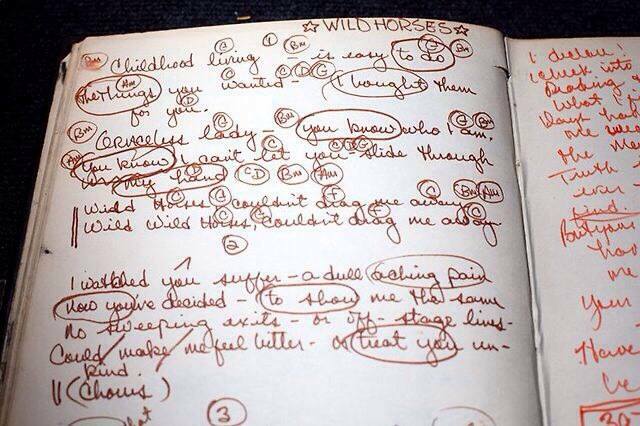 It seems obvious that Gramm Parsons wrote the intial version of Wild Horses which Jagger admits to. HENCE END OF ARGUMENT/ DISCUSSION.